So you're wondering what to do outside of Tokyo. If you like being outdoors, trying local dishes and dialects, visiting shrines, temples and historic places of interest, or just want to breathe fresh air without long waits in the hot heat for the next train to arrive, then read on to find some of the best places to check out across the nation. The northernmost part of the country is home to some of the most incredible scenes of nature around. 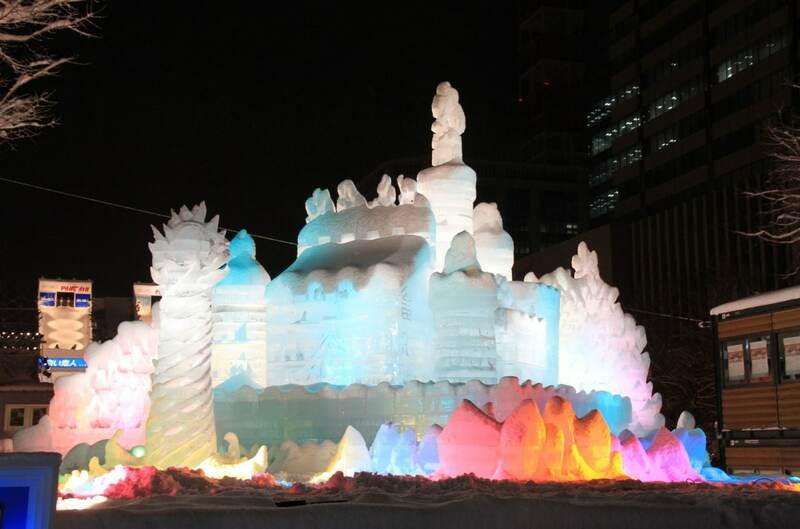 If you visit the capital city of Sapporo in February, you’ll be treated to one of the best snow festivals in the world, featuring giant ice sculptures that you wouldn’t believe. If you’re into winter sports, you owe it to yourself to try the incredibly light and fluffy Japow (Japanese powder). And the fresh food in Hokkaido is another reason to go. The soil there is so pure, you’ll find some of the best (and some of the most expensive) fruits are grown there! Moving south, we arrive at Tohoku. The coastal area is better known as the area affected by the 2011 Great East Japan Earthquake, which includes Fukushima; however, six years after the quake and the region is ready to be explored and loved again. Of course, you can hang in Sendai, the major city of the area if you need the metropolitan life, but I recommend you check out the scenic natural spots the area has to offer, like the incredible Ryusendo Caves or the jagged cliffs of Jodogahama. The next region is Kanto, which includes Tokyo. However, just outside Tokyo, you have access to several resort towns and historical places you simply shouldn’t miss. Hakone, for example, is the perfect place to relax and unwind in the natural hot springs the area has to offer. One highly recommended place to visit, which is only an hour away from Tokyo by train, is Kamakura. Whether you like beaches, shrines and temples, healthy food or hiking, Kamakura has it all! Even just going to see the Big Buddha statue is worth the trip. Oh, and I should mention that Tokyo Disneyland is technically not even in Tokyo, but Chiba. So, if you’re a big Disney fan, you’ll have to get out of Tokyo anyway! Chubu, or central Japan, is where I started my Japan journey 8 years ago and it still holds a piece of my heart. Every part of Japan is known for its special foods, but I fell in love with the delicacies you can find in the heart of Japan, especially the fried chicken wings called tebasaki and the grilled eel, or unagi. Also, tea lovers really need to get their hands on Shizuoka Prefecture’s green tea. There are also a few major cities in this region, like Nagoya and Kanazawa, that seamlessly blend the modern with the classics. Nagoya Castle, for example, is not far from the city center and Kenrokuen Gardens are a breeze to get to from Kanazawa’s CBD. Kansai, in western Japan, is the second most visited region of Japan, outside Kanto. 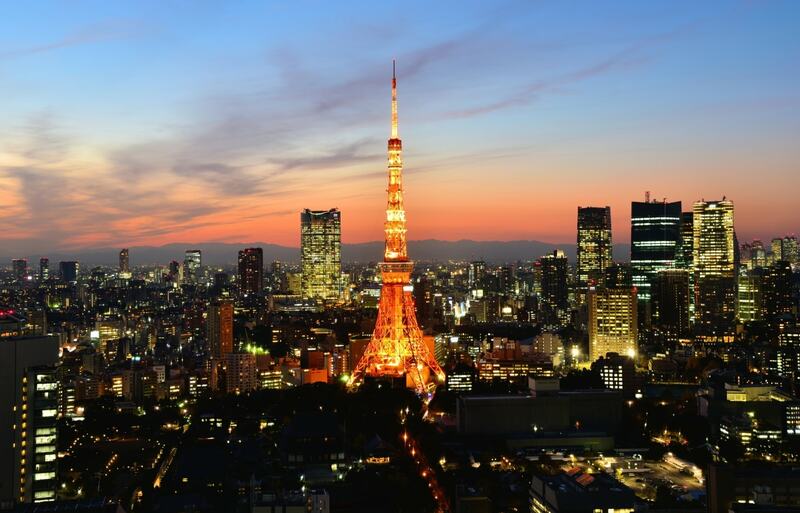 Two of the biggest areas to see here include Kyoto, the former capital of Japan, and the bustling city of Osaka. The way of life in Kansai is definitely slower compared to Tokyo and many people are a lot more friendly and talkative. Don’t be surprised when your neighbor on the train greets you, sometimes using the interesting dialect of the region. Outside the myriad of historical spots of Kyoto, including Kiyomizu Temple and Kinkaku-ji, the Golden Pavilion, you can’t miss the port city of Kobe (where the beef comes from) and the cute deer that roam around Nara. Going a little farther west will take you to Chugoku, at the edge of Honshu (the largest of Japan’s four main islands) and Shikoku (the smallest of the main islands), immediately south of Chugoku. While the names of these areas are unfamiliar to many outside Japan, Hiroshima can be found here. Hiroshima is a gorgeous city that has obvious cultural significance as well as being a testament to the power of human will and perseverance. Outside of the region’s historical relevance, outdoor sport lovers will have a lot of fun exploring the area’s hiking trails, beaches and even an incredible cycling path that connects several islands. Last, and certainly not least, are Kyushu and Okinawa. Kyushu is made of 8 prefectures, including the island chain prefecture of Okinawa. Notable cities include Fukuoka, which is a mecca for ramen lovers, Kumamoto, which is recovering from a 2016 earthquake with the help of lovable Kumamon, and Nagasaki, a city where Japan’s historic ties with the West can still be seen on the small artificial island of Dejima. As for Okinawa, I could write a separate post just on how amazing Okinawa is. From the pristine white sand beaches to the incredible unique cuisine, Okinawa is unlike anywhere else in Japan and a paradise on Earth. Take a ferry out of the capital city of Naha and take it slow on any one of the smaller islands of the area. You might not ever go back to Tokyo once you get some of the fresh Okinawan air in your lungs. I could’ve written more, of course, but I have included several links to help you explore Japan. Is Japan boring outside Tokyo, you ask? Absolutely not!